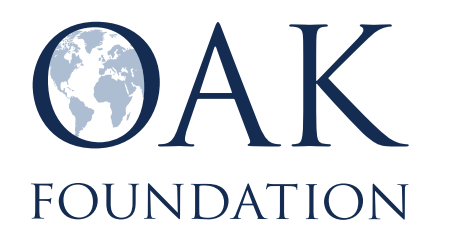 HRDAG’s funding comes from private, international donors: The Ethics & Governance of AI Initiative, the John D. and Catherine T. MacArthur Foundation, Oak Foundation, Open Society Foundations, Sigrid Rausing Trust, an anonymous U.S.-based private foundation, Zennström Philanthropies, and individual donors. This funding supports both specific projects, as well as our scientific work generally in human rights data analysis. In the past, while at AAAS, later at Benetech, and since HRDAG’s 2013 launch, the Group has been primarily funded through the John D. and Catherine T. MacArthur Foundation, the Open Society Foundations (OSF), the Oak Foundation, the Sigrid Rausing Trust, and Humanity United. In addition to core support from these foundations, the Group was also funded by project-specific grants and contracts. For example, the Ford Foundation supported work in Kosovo; the U.S. Department of State supported work with the Liberian Truth and Reconciliation Commission; the National Endowment for Democracy supported work on the Historical Archive of the National Police in Guatemala; the European Instrument for Democracy and Human Rights funded workshops training human rights groups in India. The Swedish government and the European Union provided funds to partner groups (some of which was subgranted to us) for work in Colombia. In addition, the Office of the United Nations High Commissioner for Human Rights has supported HRDAG’s work on Colombia, the Democratic Republic of Congo, and Syria.